Want to be Part of My Book? 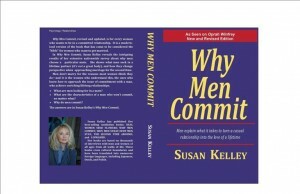 I’m updating my book Why Men Commit (as seen on Oprah) for its 20th anniversary, and would love your input. Would you recommend online dating? Do you have an interesting story to share (yours or someone else’s)? Leave a comment or email skelley346@aol.com and you could be included in the book!